Last week, WHO released its 2016 Global TB Report. The news, unfortunately, is not good. The report shows that the TB burden is actually higher than previously estimated, mainly because of new data from India. In 2015, there were an estimated 10.4 million new TB cases worldwide. Six countries accounted for 60 per cent of the total burden, with India accounting for 27 per cent of the global cases, followed by Indonesia, China, Nigeria, Pakistan and South Africa. An estimated 1.8 million people died from TB in 2015, of whom 0.4 million were co-infected with HIV. Gaps in testing for TB and reporting new cases remain major challenges, as they have in the past. Of the 10.4 million new cases, WHO estimated that only 6.1 million were detected and officially notified in 2015, leaving a huge gap of 4.3 million cases that are “missing” — either not diagnosed, or managed in large unregulated private sectors and not notified to TB programs. Global TB elimination is an impossible goal without significant progress in this emerging superpower. India continues to bear the brunt of the TB epidemic, with 2.8 of the 10.4 million new TB cases that occurred in 2015. TB is also a major killer of Indian people. The latest Global Burden of Disease estimates from Institute of Health Metrics and Evaluation, published earlier this month, show TB to be the sixth leading cause of deaths in India. In 2005, TB was the sixth leading cause of deaths in India, and ten years later, in 2015, it holds its place as a leading killer of people in India. These new estimates from WHO and GBD are disappointing and underscores the need for greater investments in global TB control. In particular, India really needs to wake up to the enormity of the epidemic in the country, and put some serious money behind its under-funded TB program. Global TB elimination is an impossible goal without significant progress in this emerging superpower. It is worth comparing China’s TB situation with that of India. 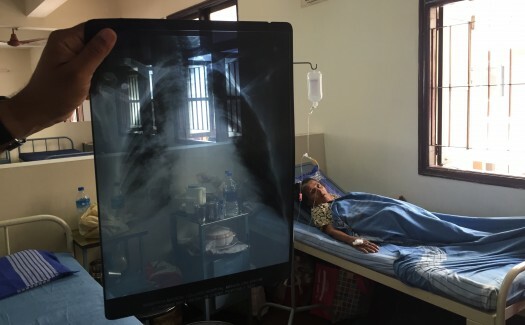 China had 0.9 million TB cases in 2015, while India had over 2.8 million. 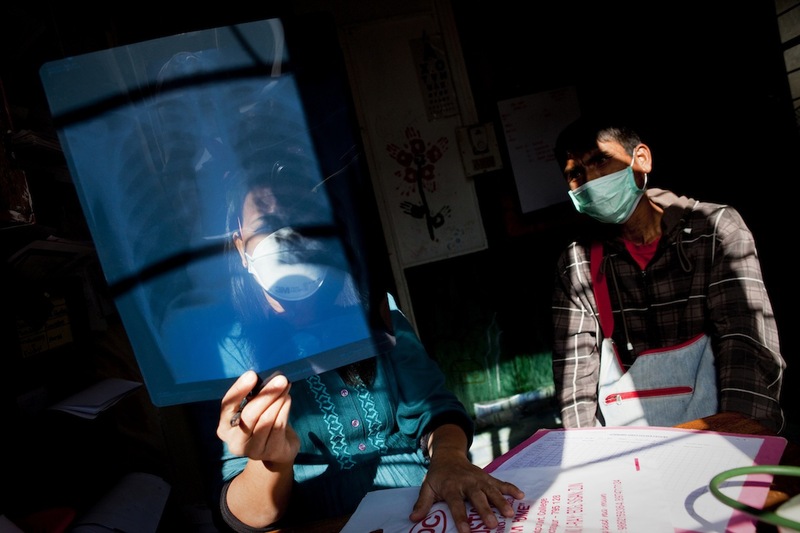 The number of drug-resistant TB cases in China was 57,000, while India was estimated to have over 79,000. TB is no longer a major killer of people in China, and does not make the top 10 most important causes of death. It is remarkable that China more than halved its TB prevalence over the last 20 years. Marked improvement in quality of TB treatment, driven by a major shift in treatment from hospitals to the China CDC public health centres (that implemented the DOTS strategy) was likely responsible for this effect, which has been demonstrated by repeated national TB prevalence surveys. So, why does India struggle with a much higher TB burden? There are many reasons. For one, India has many social determinants that fuel the TB epidemic — poverty, malnutrition, smoking, and indoor air pollution. Secondly, India has under-funded TB control for a very long time. And much of the focus was only on the public TB program. It is only recently that the national TB program has seriously started to address the problem of TB in India’s large, dominant, private sector. With new research, our understanding of the true burden of TB in India is improving. We are now aware that private sector manages over half of all TB in India, new research suggests that enormous quantities of TB drugs are sold in the Indian private market. For a long time, India ignored TB patients managed in the private sector, and national prevalence and drug-resistance surveys were not periodically done (unlike China and other high TB burden countries). Furthermore, the Indian national TB program was (and still is) heavily reliant on insensitive diagnostic tools such as sputum microscopy. India is “fighting the TB war with 19th century cannons.” All of this meant that India has been under-diagnosing and under-reporting the burden of TB for a long time. In addition, although India made TB notification mandatory in 2012, it has taken a few years for private sector notifications to accumulate. Now, thanks to several public-private partnership programs, significant increases are being noticed in case notifications from private sector. Overall, the path forward for India is very clear — acknowledge the reality of a massive TB epidemic, collect better data on true burden of TB, deaths, and drug-resistance, and allocate greater funding to tackle this huge problem. This will not happen without high-level political commitment. Last week, on the same day of the WHO TB report release, The Lancet published a comment by the Indian Health Minister Mr Jagat Prakash Nadda and Dr Poonam Khetrapal Singh, head of India’s WHO Regional Office for South East Asia. Overall, the path forward for India is very clear — acknowledge the reality of a massive TB epidemic, collect better data on true burden of TB, deaths, and drug-resistance, and allocate greater funding to tackle this huge problem. In their Comment, they acknowledged that TB is a bigger problem than imagined in India and other Asian countries, and suggested that TB should be made a top priority on national agendas. They also argue that political commitment should be translated into a comprehensive national TB control plan, and such a plan must be fully funded and implemented promptly by an empowered body that reports to the highest levels of government. These statements by the Indian Health Minister is very impressive and progressive, as is the commitment from Dr Soumya Swaminathan, India’s Secretary of the Department of Health Research about India’s plans conduct prevalence surveys, develop innovative new tools for TB, address social determinants such as malnutrition, and create an India TB Research Consortium. Hopefully, these leaders will deliver on the vision that they have articulated, and make TB a national priority in India. In fact, India has already started the process for creating the National Strategic Plan for TB Control in India (2017-2023). This plan must be ambitious, and fully funded by the Indian government. Otherwise, future TB reports will continue to bring bad news. This article was originally published in The Huffington Post. See the original article here. 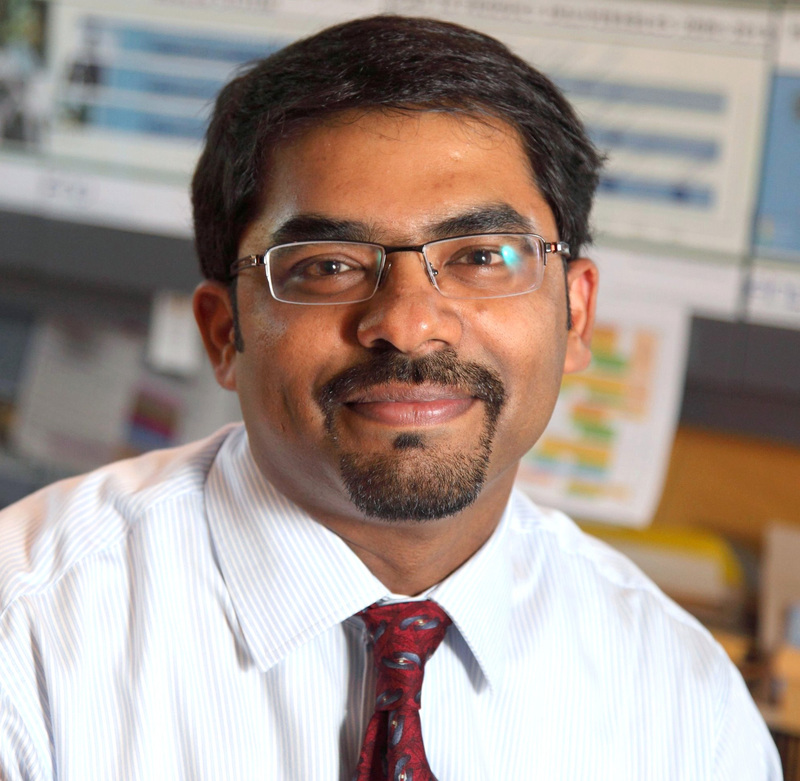 Published by globalhealth on October 21, 2016 at 3:25 pm under Uncategorized. 0 comments. McGill University was fortunate to participate in the Global Fund Replenishment conference held in Montreal this September. 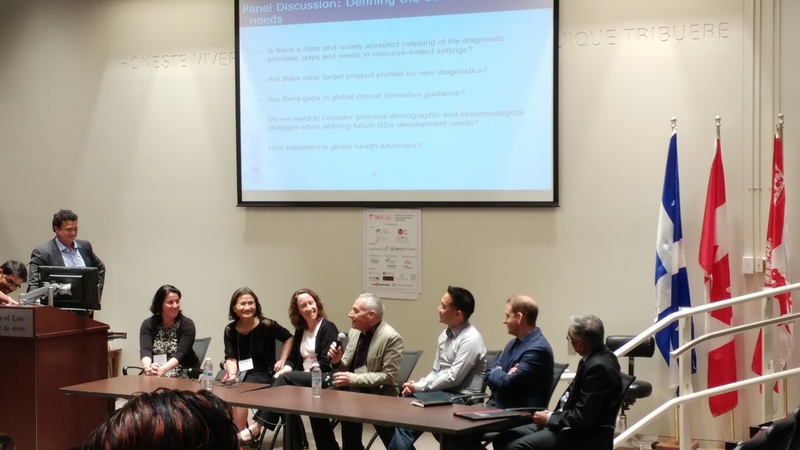 The Global Fund side event at McGill, organized by the McGill Global Health Programs office, saw a high turn-out of world-class global health researchers and students. With its contribution of nearly $800 million, Canada has repositioned itself as a key contributor to the field of global health, and a stakeholder in the mission of the Global Fund to end HIV/AIDS, TB, and Malaria for good. However, as the Honorable Jane Philpott said as she addressed the event, these goals will not translate into tangible results until society collectively deems current health disparities as “outrageous, and solvable”. It is outrageous that a third of the world is infected with TB, with the majority of those infected being in developing countries. It is outrageous that here in Canada, we have a TB epidemic concentrated in our Aboriginal communities, where the rate of TB in Indigenous populations is 34 times higher than in non-Indigenous Canadians. It is outrageous that here in Canada, there are 50 new infections of HIV every week, and this rate has not changed in the last two decades. And so, it is these glaring inequalities that must be recognized, and deemed outrageous by more than just researchers and health care workers, but collectively by the global population. Progress has been paralyzed by barriers such as stigma, racism, gender inequality, and prejudice against LGBTQ people. It is not until these basic issues surrounding human rights are resolved that we can truly put an end to AIDS, TB and Malaria. As Mark Dybul, CEO of The Global Fund said at the McGill side event, “To end these diseases, we must become better humans”. 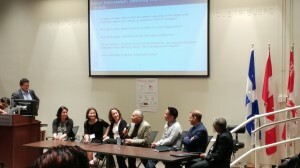 Panelists at the McGill event (from left to right): the Honourable Jane Philpott, Mark Dybul, Lucica Ditiu, Peter Singer, Mark Wainberg, Philippe Gros, and Marcel Behr. As Montreal gears up to host the biggest leaders in global health, it is our hope that Canada will go well beyond provision of international aid, and find a way to harness the abundant scientific talent in Canada. Doing so will not only amplify the financial contributions by Canadians, but also show our global solidarity. The past year has seen the re-emergence of Canada in the international development arena. In addition to maternal and child health, if there is one area where Canada is showing tremendous leadership, it is in the fight against the “big three” — AIDS, tuberculosis, and malaria — infections that kill over 3 million people each year. To tackle the big three, The Global Fund to Fight AIDS, TB and Malaria was created in 2002. The Global Fund raises resources, engages a variety of partners, and invests funds in supporting programs to tackle the epidemics. Programs supported by theGlobal Fund have saved 20 million lives, by providing 9.2 million people with antiretroviral therapy for HIV, 15.1 million people with testing and treatment for TB, and 659 million mosquito bed nets to prevent malaria. Canada is blessed with some of the best academic researchers and innovators working in global health. If the Global Fund is to continue making progress towards ending these epidemics for good, it needs to be replenished by donor governments, private foundations, corporations, and philanthropists — and Canada is showing the world how to get this done! 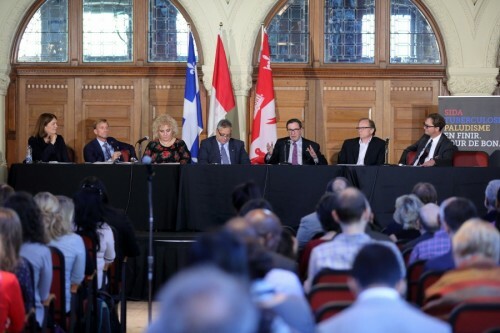 On September 16-17, 2016, the Government of Canada will host the Fifth Replenishment Conference in Montreal that will bring world leaders to set funding for the next three years. The Global Fund has set a target of raising US$13 billion. Canada has already pledged CAN$785 million, a 20 increase compared to the last round. The USA has pledged up to US$4.3 billion, France has pledged €1.08 billion, and Germany has pledged €800 million. These pledges, hopefully, will inspire others to contribute and meet the target of US $13 billion which can save an additional 8 million lives. In addition to supporting the Global Fund, the Government of Canada has made a renewed investment of CAN$85 million for the Stop TB Partnership’s TB REACH initiative, to reach, treat and cure many of the 3.6 million people affected by TB who every year go without proper care. The Government of Canada has also invested inGrand Challenges Canada, an agency that is funding several innovative projects in TB, HIV and Malaria. We can be proud of all these developments that show commitment and leadership from the Canadian Government. However, in addition to providing development assistance, Canada has much more to offer. Canada is blessed with some of the best academic researchers and innovators working in global health. For example, an experimental Ebola vaccine developed by Canadian scientists has already attracted international attention. 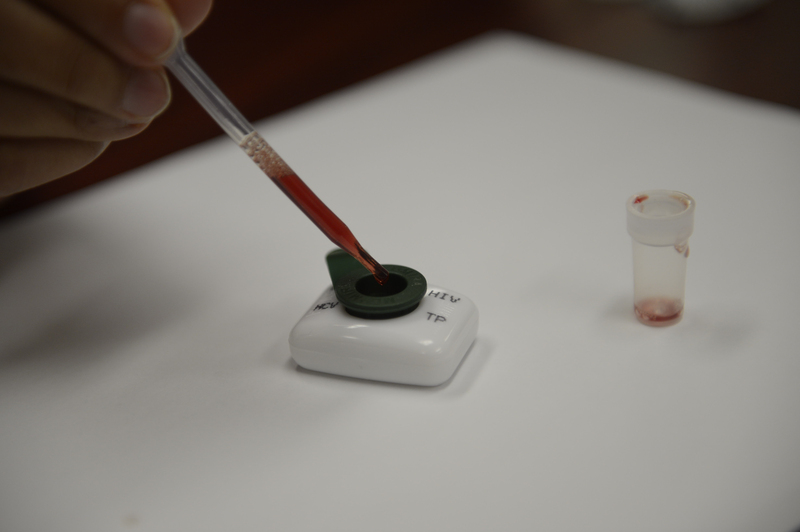 In the area of HIV, TB and Malaria, Canadian researchers are making valuable contributions. Canada has led the way in identification of anti-retroviral drug targets, development and promotion of the Treatment as Prevention strategy, development and evaluation of new diagnostics, treatment of HIV and hepatitis co-infections, and leadership roles in prestigious societies to influence policy and advocacy. Epidemics such as SARS, Ebola and Zika have shown us that infectious diseases respect no boundaries. Canada has a rich history of research in tuberculosis, a disease that still affects our Aboriginal communities. 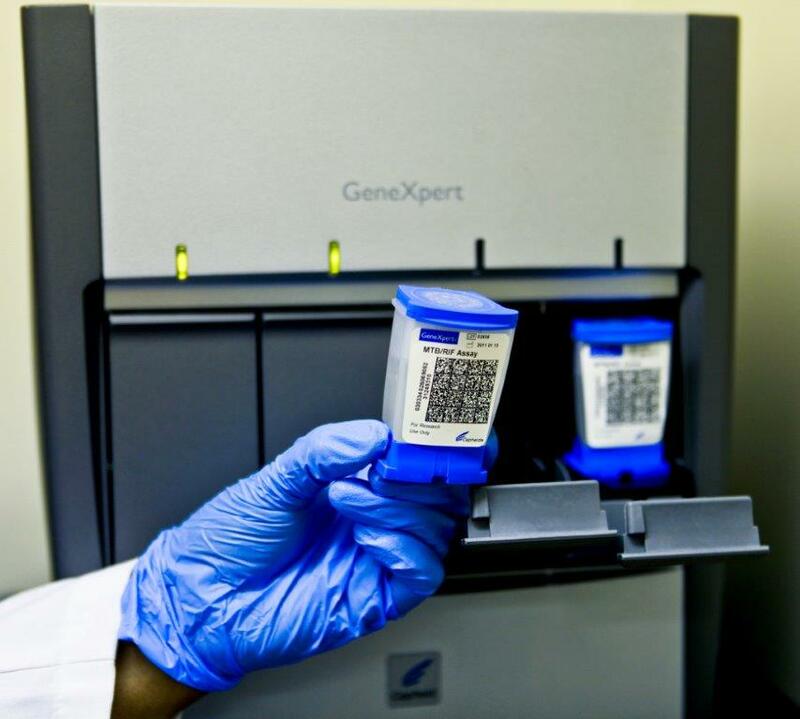 Canadian researchers have identified the genetic basis of susceptibility to TB, used innovative DNA fingerprinting methods to track the epidemic, evaluated novel tests for TB, conducted clinical trials to develop shorter drug therapies, and contributed to international policies. Canadian researchers have identified promising malaria drug targets, documented malaria strain variations, and developed a global molecular surveillance system for drug-resistant malaria. McGill University and its affiliated hospitals are home to several teams that focus on HIV, TB and parasitic diseases. With over 100 scientists working on infectious diseases, McGill has much to offer in global health, from fundamental science to policy, and, in particular, training of the next generation of researchers. 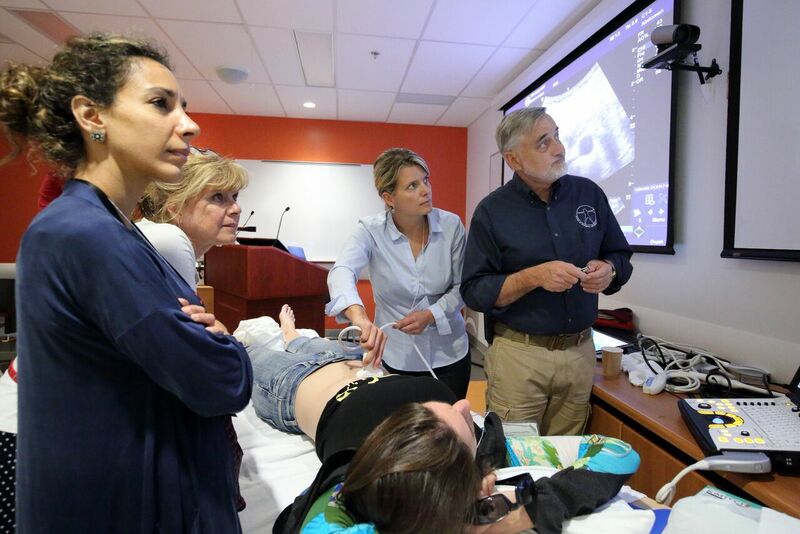 McGill Global Health Programs coordinates the University’s global health work, and is making strategic investments and partnerships to make sure McGill’s faculty and students are actively engaged as global citizens, in solving the biggest global health challenges. Epidemics such as SARS, Ebola and Zika have shown us that infectious diseases respect no boundaries. We are excited that Canada is showing impressive leadership in global health, and particularly thrilled that the Global Fund Replenishment Conference is being held in Montreal. We hope the Global Fund replenishment targets will be met, and Canadian researchers will be actively engaged to translate the dollars into saved lives. Published by globalhealth on September 23, 2016 at 3:46 pm under Events. 0 comments. 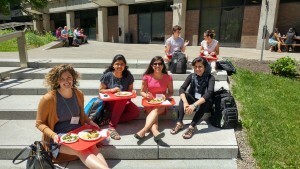 McGill Summer Institute 2016 – An Infectious Series of Presentations! And that’s a wrap! The 2nd annual Summer Institute on Infectious Diseases and Global Health has ended after two weeks of exciting discussion covering a variety of topics including TB, HIV, worms, malaria, and more worms. With the addition of two courses to the Summer Institute arsenal, things got pretty busy! As a member of the organizing team for the Summer Institute, I had the opportunity to observe the mechanics of what goes on front and back stage. As participants got to hear from an extensive lineup of top-quality researchers and diagnostic industry specialists, the Institute’s top-notch organizing committee worked tirelessly to ensure operations went as smoothly as possible — easier said than done. Between organising the catering, and dashing between classrooms pretending to be an AV specialist, I managed to slip into a few lectures to get a feel for what the Summer Institute is all about. Boasting about 400 participants from 46 different countries, the Summer Institute was a huge success. The conference fostered a welcoming environment for global health experts and novices alike, to engage in academic discussions centred around pertinent global health issues the world faces today. See the Summer Institute 2016 Dashboard for a brief overview of the conference statistics. I’m glad I had the opportunity to be a part of such a fast-paced and information-packed two weeks! Taking part in the conference gave me valuable insight into the many different facets of global health, and allowed me to envision which stream I would like to pursue as I move towards my own post-graduate education. 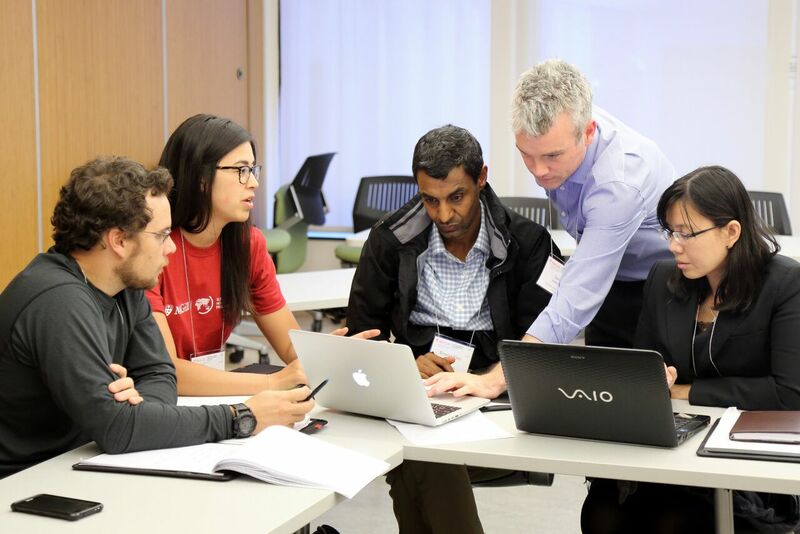 Planning is already underway for 2017’s Summer Institute – stay tuned at the Summer Institute and the McGill Global Health Programs websites for more details to come! 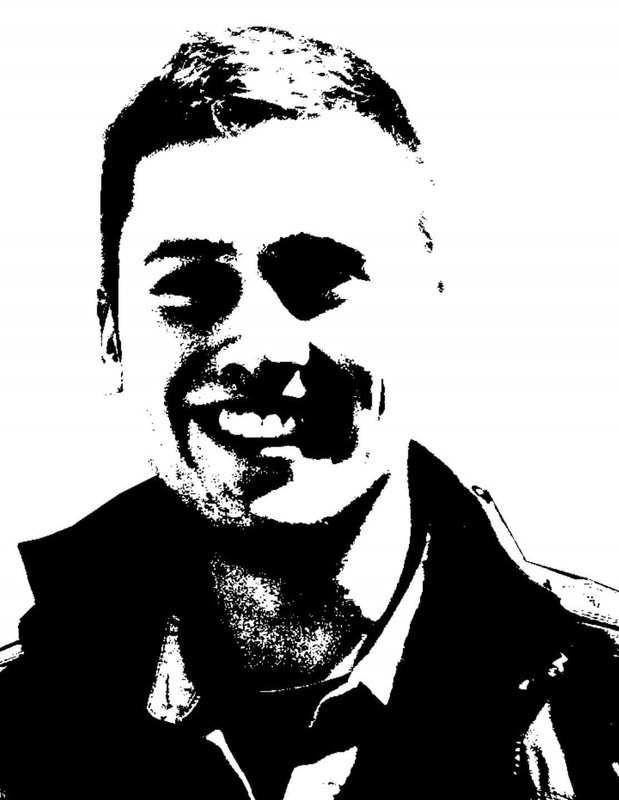 Patrick is a recent graduate from the undergraduate pharmacology program at McGill. Now working at the GHP office, Patrick is happy to be immersed in the field of global health. His interests include infectious diseases, learning languages, and ‘The Office’. Published by pbidulka on July 15, 2016 at 11:39 am under Events. 0 comments.